If you want to fly around the bases with Usain Bolt like speed, you need traction you can count on. Running straight at full speed is one thing, but running the arc of the bases and tapping each as you go by involves a lot more agility. Not to mention, successfully fielding the ball and making accurate throws count on reliable footwork. When it comes to playing sports, the type of shoes you wear can make or break your performance in those crucial moments where every second matters. In this article, you’ll find our top picks for the best baseball cleats currently available. 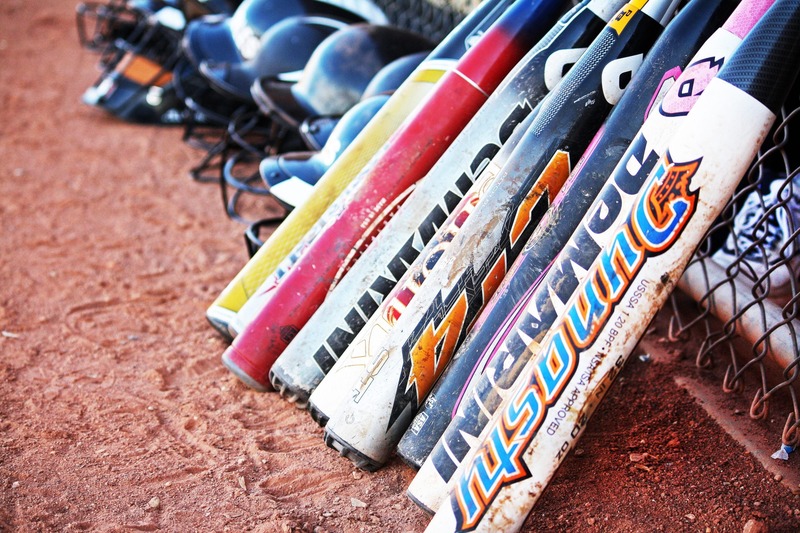 There are various options to choose from when you’re shopping for the ideal baseball cleat. It can be overwhelming to choose the best pair for success. Thankfully, we’ve created a buying guide to help you out. Read on to discover the best baseball cleats of 2019. Here is our comparison table of the most popular baseball cleats available this year. We’ve sorted them by price ascending. Here are Dugout Debate’s top picks for this year. 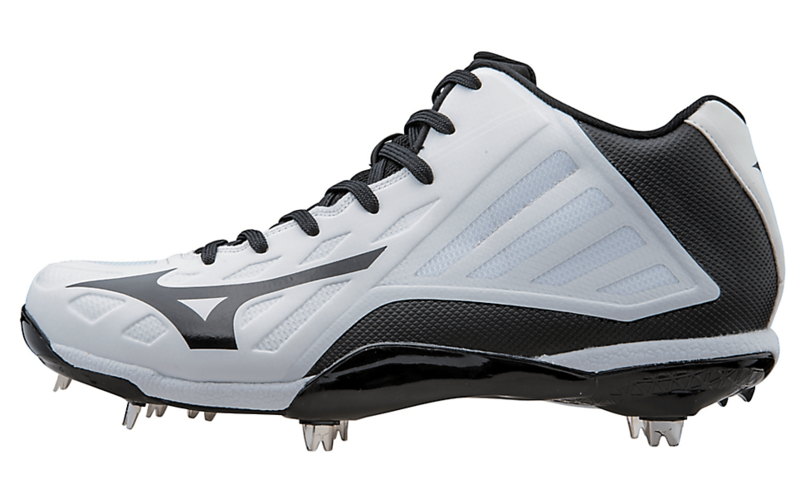 Once again we take a look at the ever popular Mizuno cleats. These are a little different than the other Mizuno cleats in that they’re made of rubber. While you won’t get the air flow through the shoe, you’ll get the best durability possible. So you’ll be able to wear these all season and beyond. These cleats are made of rubber as well, but you won’t miss out on great traction on the field. These baseball cleats are ideal for the player who wants to completely customize their shoe. You’re able to choose the color of the shoe down to the lace. But their style works even better for performance. These shoes were created for comfort, and Adidas delivers. The ProTrax plate curbs the stress your foot feels when you put pressure on it. Plus, these also have a comfortable insole that stretches across the entire cleat. This brand is known for making athletic shoes exclusive for baseball. And this Mizuno cleat does not disappoint. The IQ in the name stands for “Innovative Quickness” which describes these cleats perfectly. They come complete with an insole that is designed for a running shoe, giving you the ability to outplay your competitors. They also allow you perfect flexibility because the outer parts of the shoe are created with materials like synthetic and mesh. If you’re looking for intense speed, you’ll want to check out these Nike cleats. 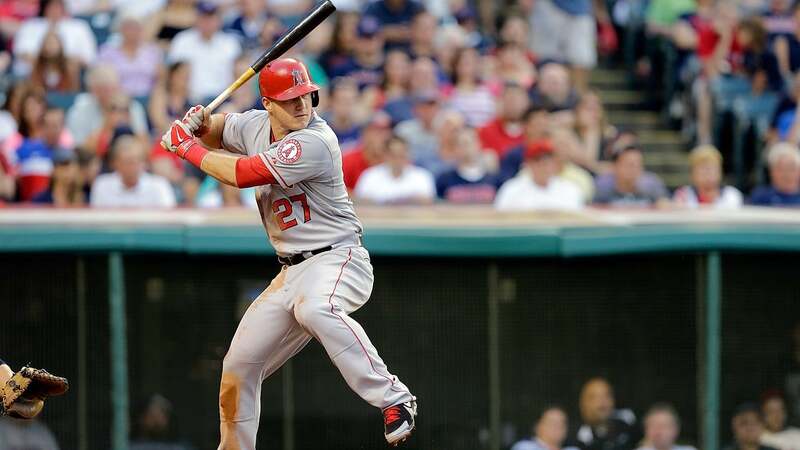 Created by Mike Trout, these high tops are perfect for getting to the ball quickly. Like the other cleats on our list, these also have a nine-cleat design that gives ideal traction. Plus, Lunarlon foam in the sole of the shoe that are super comfortable. You’ll feel super fast and lightweight in these Nike cleats. 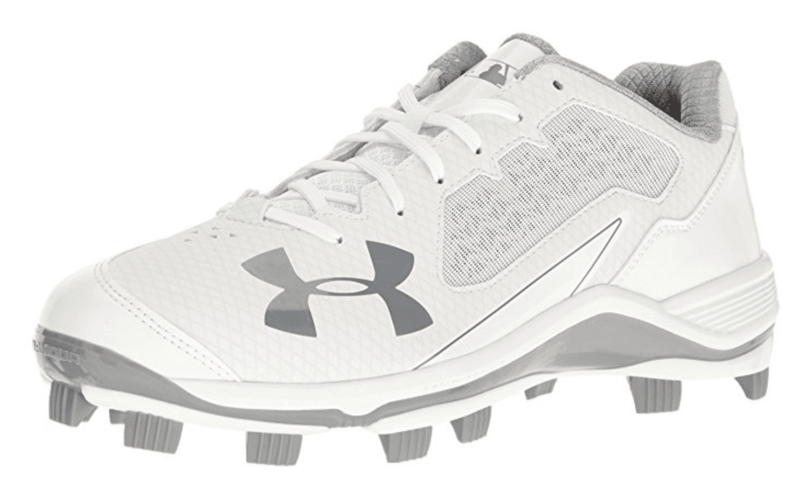 So far we’ve taken a look at metal cleats, but these Under Armour baseball shoes are the perfect rubber molded option for baseball players. These cleats are made of leather and cowhide which make them extra durable. The soles have an ArmourBound lining that reduces the impact of your step. The design of the cleat themselves allows you to pivot and gain momentum without fail. 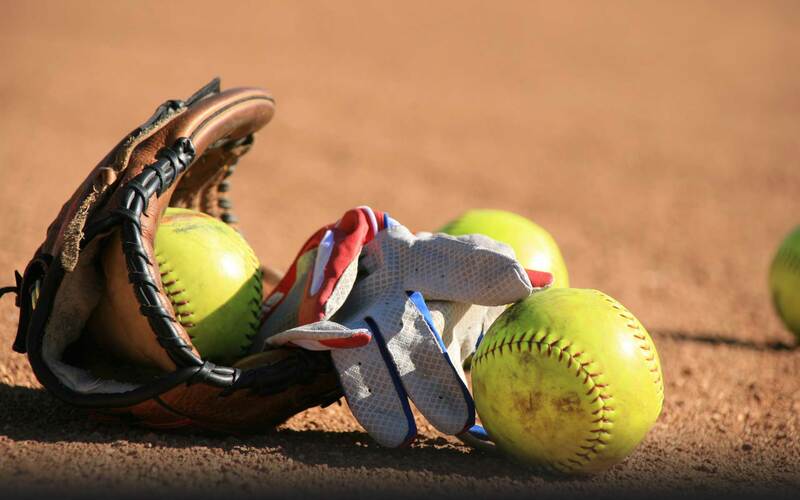 You’ll have great grip and won’t have to worry about slipping across the diamond. You’ll also get extra push for when you swing your bat. If you’re looking for a great metal cleat, these are the best option for you. The mesh material provides a lightweight feel and keeps your feet cool when you’re playing under the hot sun. Even though they’re a metal cleat, you won’t feel uncomfortable at all thanks to the extra cushioning in the sole. The nine-cleat design makes the shoe’s grip excellent for planting your feet into the field. These baseball cleats just look quick. And that was Adidas’ intention when they created this shoe. The shoe itself is covered completely in mesh so you’ll get the lightweight feel of a fast baseball cleat. The sole itself is made of Litestrike EVA, which is known to be the lightest midsole on the market. The additional protection on the toe gives you added protection for longer shoe life, whether you’re practicing drills or playing the big game. If you take a look at the cleat portion of the shoe, you’ll notice its waved pattern on the bottom that gives you ultra gripping ability. You can get this shoe in twelve different color patterns, which gives you the option to match any team color. But design isn’t the only cool feature of these baseball cleats. These shoes offer a specialized feature that allows you to keep your foot positioning ideal for moving side to side. These cleats also give you ideal comfort with their heel to toe cushioning system. These Under Armour cleats are ideal if you’re looking for a mid-cut option. 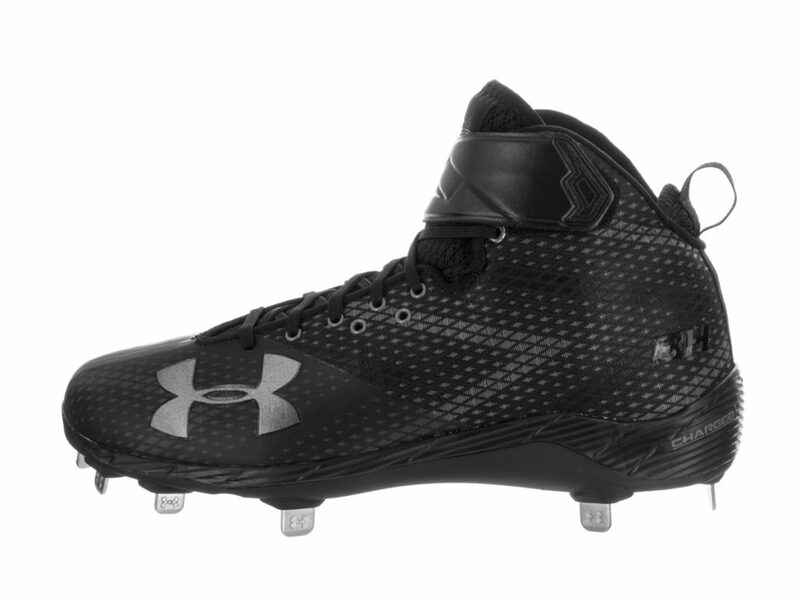 Named after Bryce Harper, these Under Armour cleats offer breathability and comfort. The whole top piece of the shoe is made of durable mesh that also lets your feet breathe as you play. The SuperFoam sole reduces the impact of your movements. These cleats also boast nine-cleats that provide you the best grip possible. Think Jordans were just for basketball? Not anymore! These Jordan shoes will have you looking stylish and playing like a champ on the diamond. 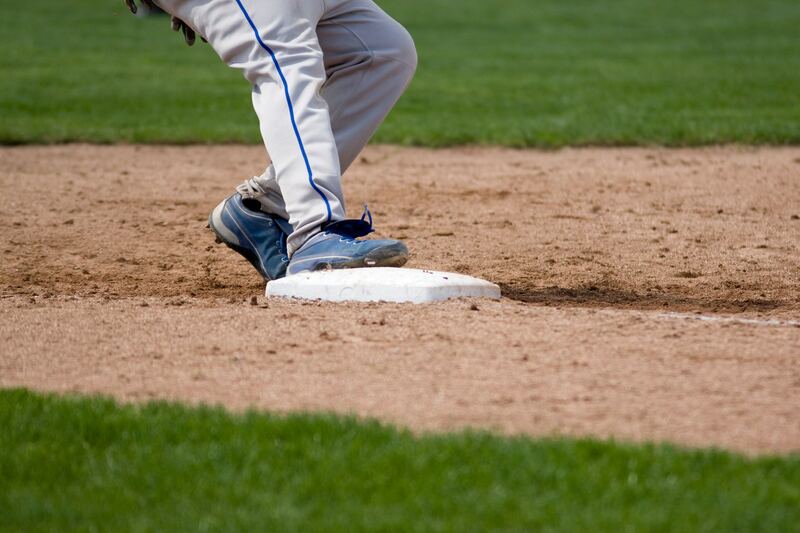 The Pebax nine-cleat plate gives perfect traction for stealing bases. Its sole is made of Phylon so you get extra comfort that doesn’t make the shoe too heavy. These baseball cleats are made of leather so they’re super durable. These are the most important factors to think about before giving the green light on a pair of new cleats. There are three main categories of baseball shoes: metal cleats, molded (plastic) cleats, and turf/trainer shoes. Experts claim metal cleats offer the best traction, because they can dig well into grass and even the harder and compact dirt of some infields. Plastic cleats do not provide as much traction as metal cleats but generally perform better in soft/muddy conditions, do not wear down as fast as metal, and must be worn if the league prohibits the use of metal cleats. Trainer shoes are used during practice and are generally more comfortable and do not tear up training facilities like metal does. 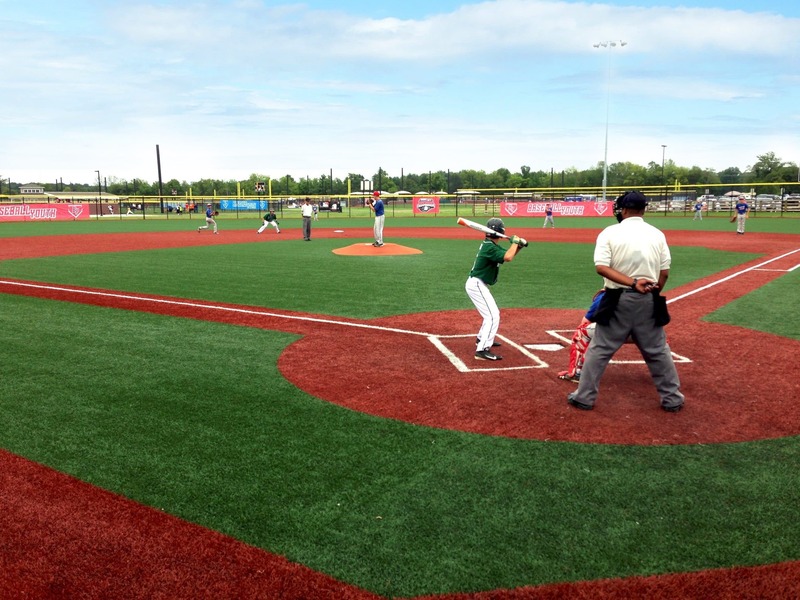 The two most commonly used materials used in the construction of baseball cleats are leather and synthetics. Genuine leather is known to last longer, are a bit heavier, and cost more. Some of the more advanced synthetics are lighter and offer superior flexibility and comfort. Mid top, low top, or high top? Neither has been proven better in terms of performance. Much of this comes down to player preference. For example, if the player has had trouble with ankle injuries in the past, they may opt for a high top shoe. Oftentimes, pitchers will prefer a low top shoe for good flexibility on the mound and to prevent chaffing after a few innings of pitching. Some players find a mid or high top restrictive and therefore favor a low height cleat. Of course, low tops are going to be a bit lighter and better for the base runner, while high tops are going to be a bit heavier but protect the ankles better. Some leagues prohibit the use of metal cleats and in that case molded cleats must be worn. Metal cleats are allowed in high school, college, and pro baseball. However, most youth leagues prohibit the use of metal cleats due to safety reasons. If you are unsure, it’s always best to do a quick check online to make sure metal cleats are allowed in your league. There’s a huge difference between wearing the right footwear and the wearing the wrong. 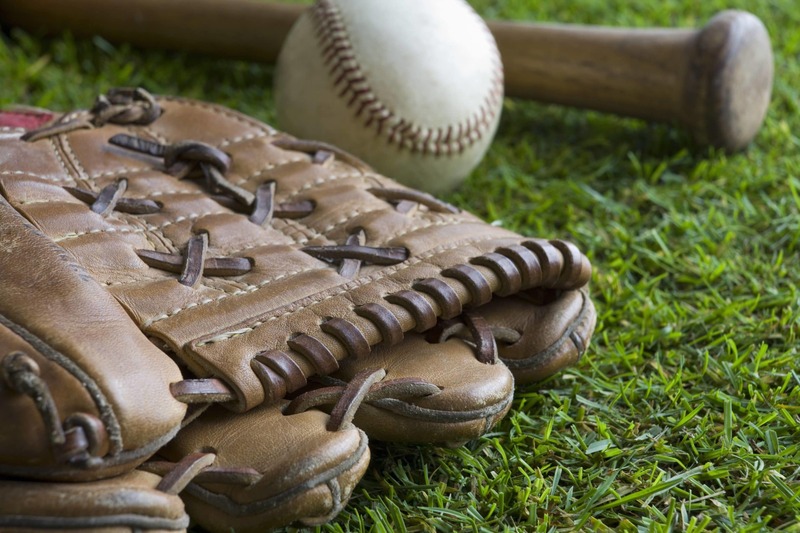 As a baseball player, you will benefit from wearing the right baseball cleats. It’s no surprise that baseball requires a lot of movement and running. Stealing bases, outrunning fly balls, and planting your feet for the throw all require good footwork. 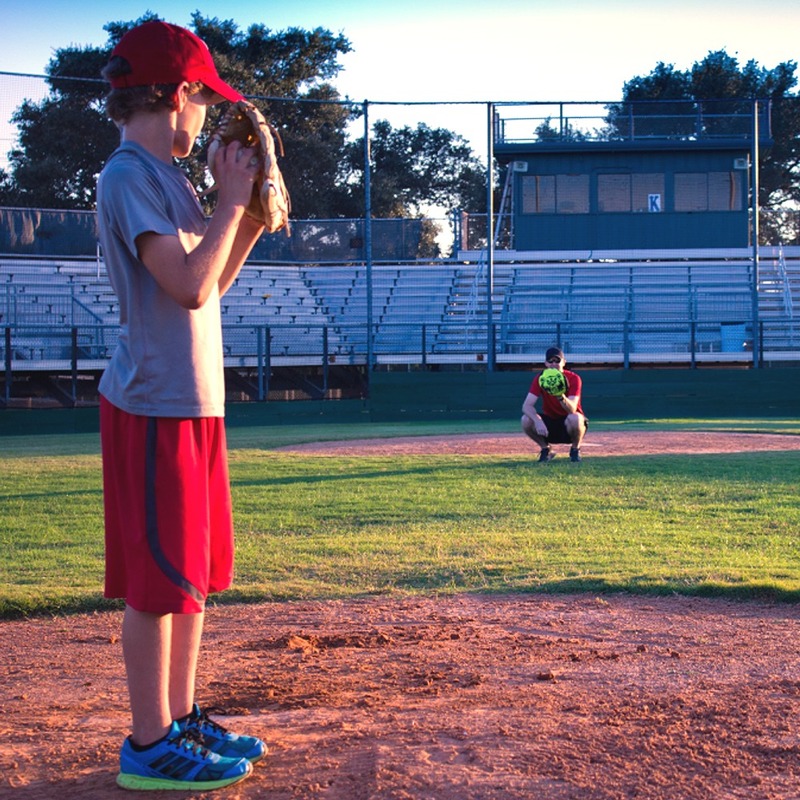 A successful baseball player can’t afford to slip or trip up as they’re playing. Baseball cleats are perfectly optimized for this type of movement. Each brand and type of cleat will have a different grip. You’ll have to search for one that works well for you. There’s nothing worse than being uncomfortable when you’re trying to play baseball. And thankfully, creators of baseball cleats ensure that you’re getting optimal comfort as you’re playing. Extra cushioning is added to the sole of the shoe to give you added comfort. This will prevent you from feeling the pressure every time you land on your feet. 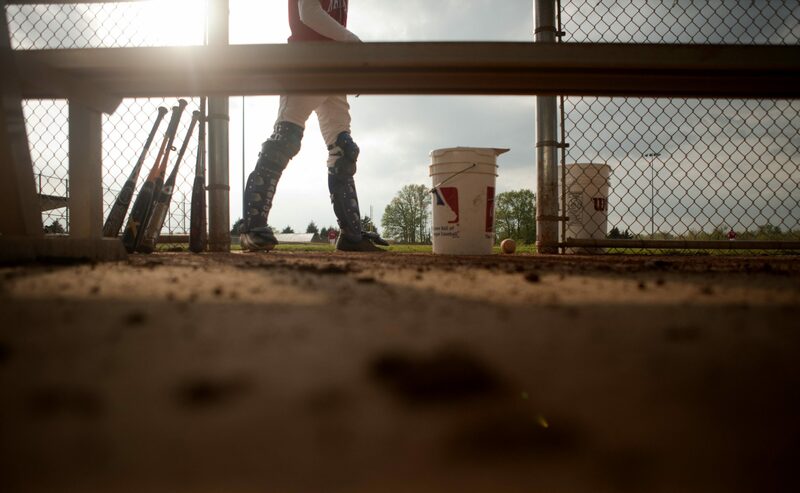 Your knees and feet will thank your cleats. No matter which position you play, you’ll need a great deal of flexibility in a shoe. A regular athletic shoe just won’t give you the room you need to make plays or run the bases. Plus, they’re flexible enough to prevent any serious injuries that may occur by wearing another type of shoe.